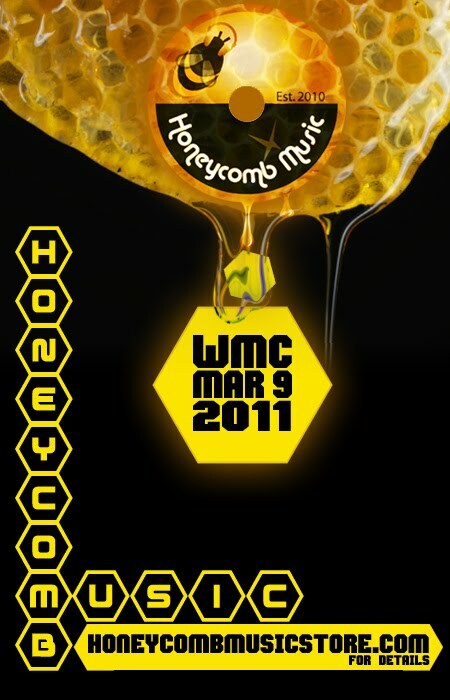 Honeycomb Music comes to WMC!!!! Meet me at the Chesterfield Hotel 855 Collins Ave, Miami Beach Florida on Wednesday March 9th for some serious music, partying, fun, and whatever else happens. It begins at Noon and lasts until 8PM. So far we have Kristel Morin(Tribe UK), The Sounds Of A Dancer DJ Datgurl-Curly(NYC), and The Return Of House Music Legend Big Moses!!!!!!! Performances by Chinahblac, Cinnamon Brown, and Dawn Tallman. Bring friends.. The party is free! Bring some love with you! Let's show em how it's really done!